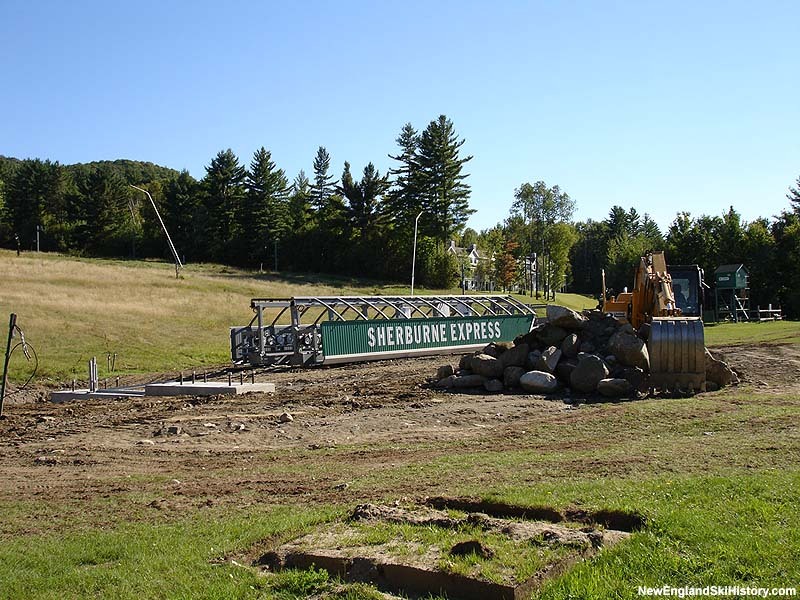 With Interstate 91 recently being constructed through the Burke area, the owners decided to expand downward with the new Shelburne complex. 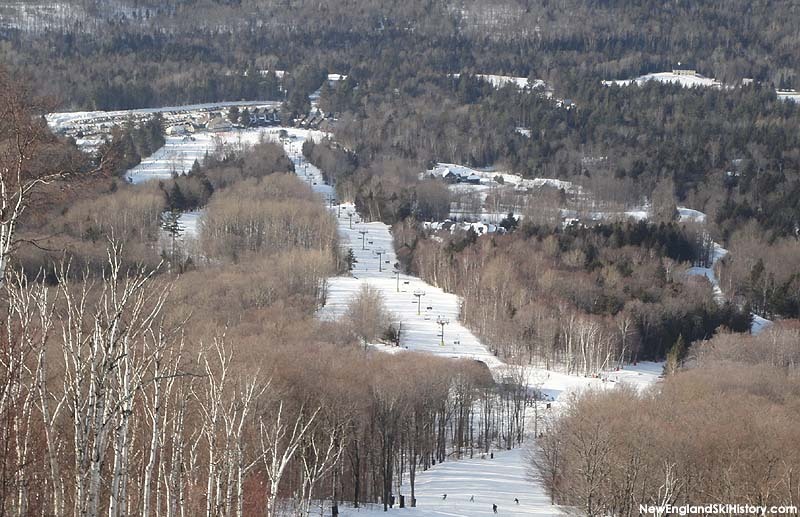 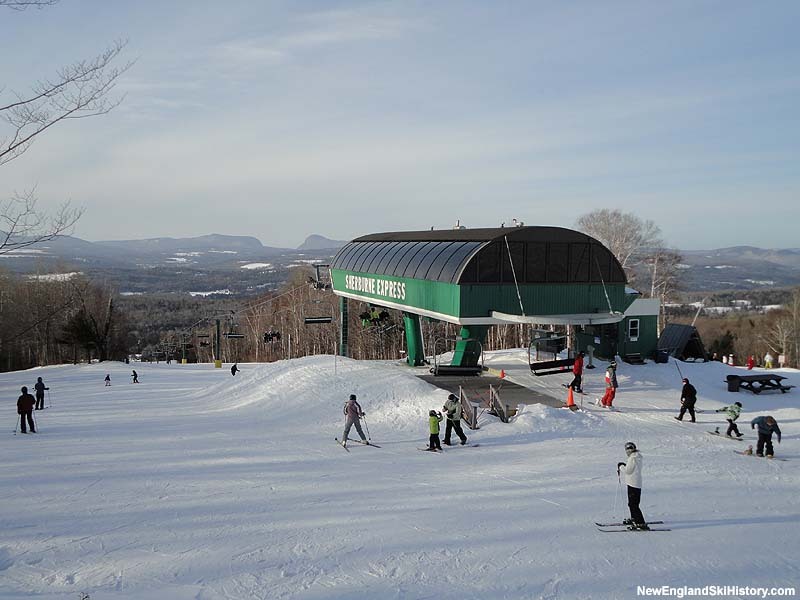 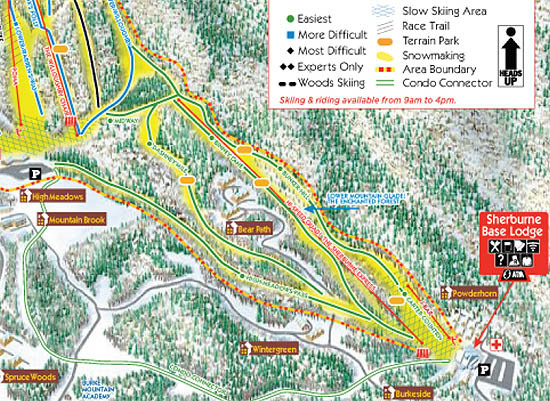 Composed of novice terrain, the complex was served by a new 3,997 foot long by 605 foot vertical Hall double chairlift, starting from a new base lodge and terminating a bit uphill from the Willoughby double chairlift. 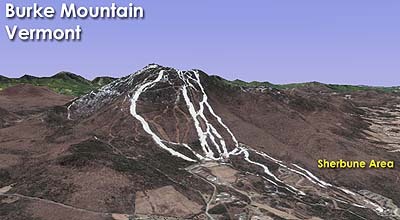 With the new complex, Burke was able to cross the 2,000 vertical foot threshold. 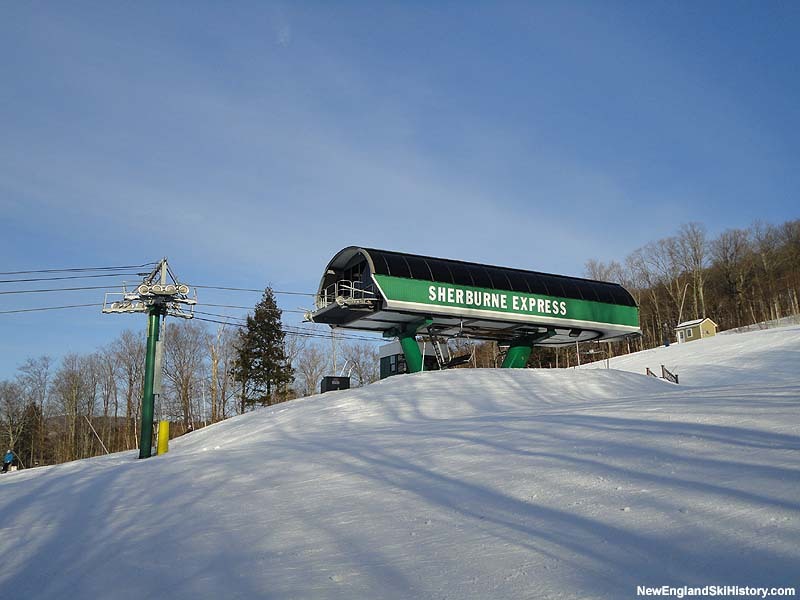 Years later, on the front end of a large proposed development, some towers from the Sherburne Double were used to construct a new 2005 Leitner-Poma detachable quad, Burke's first high speed chairlift.